The Department of Hygiene and Epidemiology invites applications for 3-year fully funded PhD studentships. 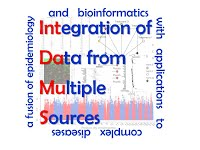 The two posts are embedded in the project ‘Integrated Multiple Meta-Analysis’ funded by the European Union. Both posts are funded by a European Research Council grant. The grant also provides funding for training (courses and workshops) and participation to international and national conferences. Research supervision will be provided by Dr. Georgia Salanti. Successful applicants will have the opportunity to gain vast experience on challenging and exciting projects and collaborate with leading international researchers. Applicants for Post 1 should have strong quantitative skills. They should have postgraduate qualification in statistics, mathematics, physics, computer science or, alternatively, qualification in a health-related discipline with a strong quantitative component and very good statistical and computational skills. They should also have excellent written and verbal communication skills in English. Programming experience is desirable and a Masters in Biostatistics, Epidemiology or equivalent is an important advantage. After the training period, the post holder is expected to start developing and applying statistical models to complex clinical problems. Applicants for Post 2 should have a degree in a health-related discipline, good methodological and epidemiological skills and understanding of statistics. A Masters in Epidemiology, Biostatistics, Public Health or equivalent is an advantage. Experience with systematic reviews and meta-analysis is desirable but not essential. Applicants should also have excellent written and verbal communication skills in English. After the training period, the post holder is expected to be able to carry out research projects on methodological issues for systematic reviews. Salary: 11000 -14000 Euros per annum (depending on qualifications and experience).